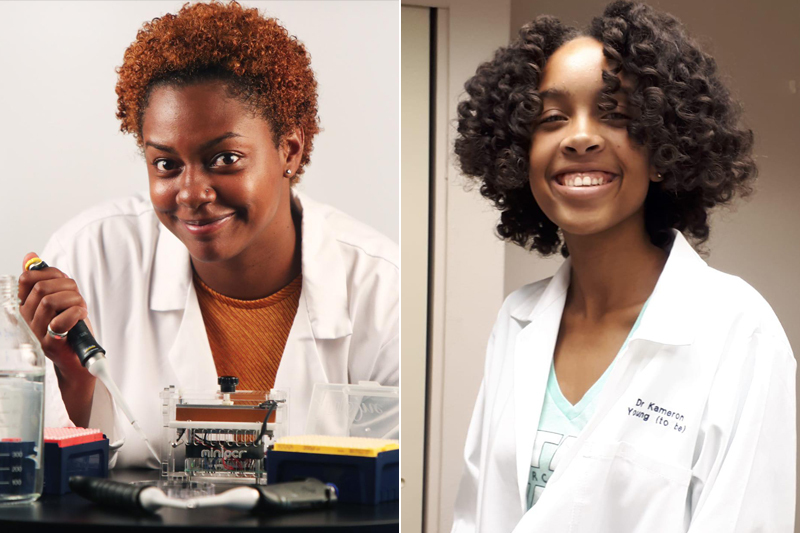 Following the success of her original genetics study for her Biology Internal Assessment, IB2 student Kameron Young, along with her mentor, Dr. Carika Weldon, will be collecting more data over the next three weeks. The aspiring surgeon further explained that there were less participants aged 16 to 45 as well as participants aged 56 and over. Consequently, it was decided to expand the original study by collecting more data where they hope to attract over 500 participants, with 250 being male. Kameron, the daughter of Angela Young, is thought to be the first Bermudian high school student to conduct a study of this magnitude. Bermudian Dr. Carika Weldon, a Scientific Researcher at The University of Oxford in England, shared the importance of conducting such a study as: “We as a community have a shared concern over Diabetes and have realized it is an issue. Members of the public are invited to participate in the study by giving a cheek sample on Fridays and Saturdays, February 1, 2, 8, 9, and 16 from 10 am to 6 pm at Planet Math. Appointments can be pre-arranged online at httpc//bit.ly/BookKameronslab. The team are also looking to come to local businesses on Monday to Thursdays to collect samples. If this option is more suitable and your company is interested, please email kamerons.lab@gmail.com. The complete findings of this study will be revealed at the science conference hosted by The Bermuda Principles Foundation Fund, a non-profit organization initiative fiscally supported by the Bermuda Community Foundation, where Dr. Weldon is the Executive Director and Founder. In its third year, this four-day conference will have just under 100 international scientists fly to Bermuda to share their latest research on various diseases such as AIDS, cancer and diabetes. The conference will take place from February 20 through to February 23 at the Fairmont Southampton. Both Dr. Weldon and Kameron will also share their findings at 11 am on the final day which has been titled: Bermuda Principles Education Day. Admission is free and doors will open at 10:45 am; with the first set of presentations starting from 11am through to 5 pm. I huge tip of the hat to Dr. Weldon and soon-to-be Dr. Young!!! You both do Bermuda proud and improve our health while you’re at it – congratulations for your amazing accomplishments! !